080816 - New Orleans, LA - The 2016 Churchwide Assembly begins with a welcome from Presiding Bishop Elizabeth Eaton. The Texas-Louisiana Synod also welcomed guests. Bishop Eaton went over rules for voting and other items pertaining to the order of business. Pictured is Pr. 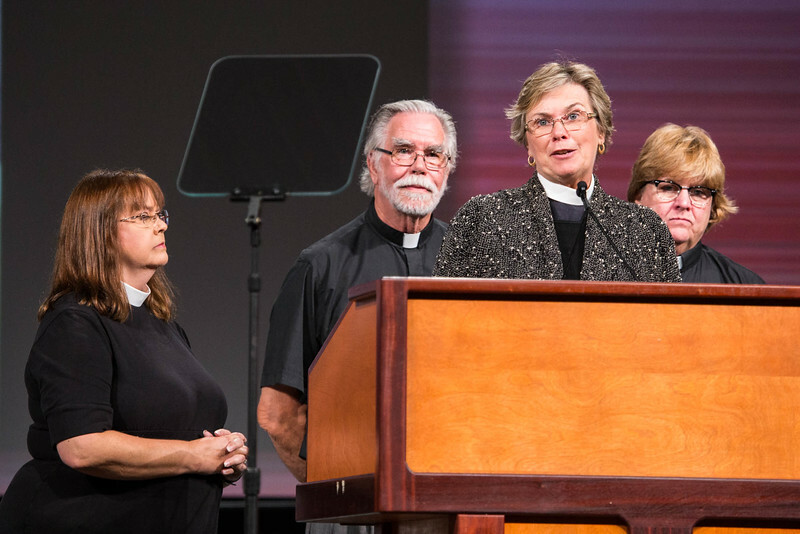 Robin McCullough Bade and other congregational pastors speaking about their Katrina stories.